"While adding insulation to help cut energy costs may seem to be a daunting project, the short-term investment has great long-term benefits." "I’ve saved an average of $50.00 a month on my utility bills after re-insulating my attic!" "My house is much more comfortable!" "We have been using BDI exclusively in our new homes for the last eight years. They only use quality materials, and their customer service is second to none. 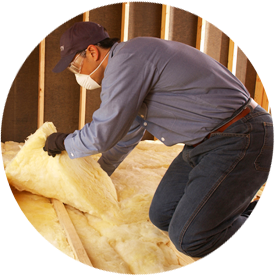 BDI keeps us up to date with the latest in insulation technology. It has been a pleasure working with them." "I don’t have to run my A/C nearly as much!" "What people may not realize is how much money can be saved by making the decision to reevaluate their home’s insulation"
"We have depended on BDI for over seven years and have been impressed by their workmanship, prompt response to requests, competitive pricing and innovation. We have never thought of using anyone else, given BDI’s proven track record with us. I would recommend them highly."